When blogging its easy to get caught up in trying to be better than other bloggers and such, but i think its really important that we all support each other and all help each other grow. The internet is huge and there really is room for all of us, especially as no two blogs can be identical! I thought i'd share with you some of my favourites, i was planning to do the 'blogger love' tag a while back, but i thought some of the questions overlapped a bit for me so heres my modified version with a whole lot of blogger lovin' going on. First off, i have to pay ode to the first blog i came across. Lily melrose's beauty blog ETCLLYMLRS came up when i was looking to dye my hair ombré. She was one of the first i saw to do it and i'd constantly check back and lust over having hair like hers! I don't think i even knew what beauty blogging was at this point, but she's still one of my favourites to this day with her beauty and fashion blog (LLYMLRS) being read almost daily! It's easy to tell what my favourite blogs are from my bloglovin' liked posts and by who i search for first when i've not read any posts for a while. My absolute favourite beauty blogs would have to be: viviannadoesmakeup, liana-beauty, hellooctober, lipstickwithsomesunshine, gh0stparties and nouvelle daily. I know these girlies are already pretty established, but its for a reason and doesn't mean they shouldn't receive the love too! Fashion wise, Charlotte fisher is a firm favourite and has slowly converted my wardrobe to a pretty pastel land, and That Pommie Girl is a lovely one too! Major hair/face envy... Charlotte martin makes me want to throw away all the powder pinks for full monochrome all over again and also makes me wish i was blonde. I Dress Myselff is a fashion youtuber favourite, her style is so different but still so wearable and i love it! Also not forgetting Lily melrose's fashion blog LLYMLRS again, and her youtube channel where she shows off some pretty brilliant editing skills. The list goes on and on and i could sit reading blogs for days. 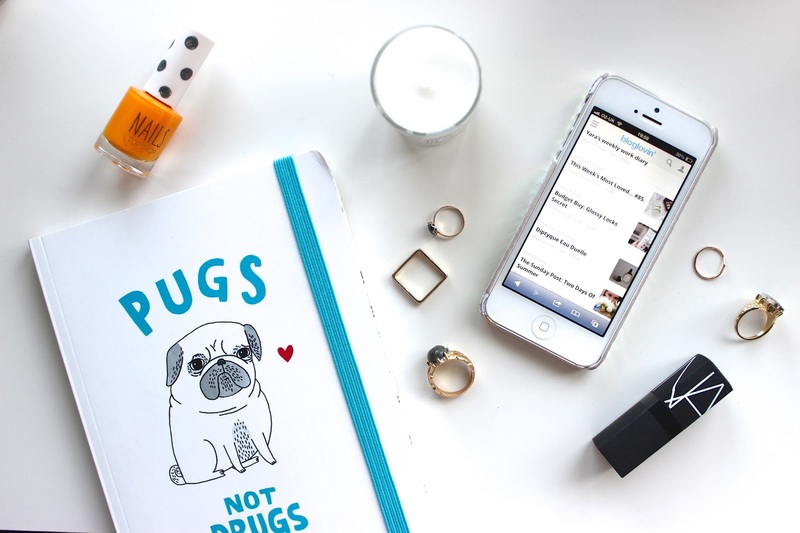 Check out my bloglovin subscriptions for more inspo. Speaking of youtubers, Ive got to mention Anna, Suzie and Amelia again. Cant. Stop. Watching. Lily Pebbles is also a firm favourite of mine, along with Essiebutton and Gabby from VelvetGh0st, who are both gorgeous and hilarious! When it comes to this lot, as soon as a videos uploaded, i'm there. To be honest, All the girls above that have youtube channels are favourites of mine - i pretty much just love getting to know the people so tend to watch videos/read blogs by people on both platforms. A final few mentions you should check out if thats not enough - From Roses, JennyPurr, The Little Magpie and Life, Set sail. That should keep you all going for a while! Let me know your favourites, i'm always looking for new reads.